India becoming second-largest Internet user base in the world will only lag behind China, which has more than 600 million subscribers. The number of Internet users in India is expected to reach 402 million by December end, a growth of 49 per cent over last year, according to a report by the Internet and Mobile Association of India (IAMAI) and IMRB International. Fueled by a boom in smartphone ownership, the number of Internet users will reach to 402 million in December from 375 million in October, according to the trade group Internet and Mobile Association of India. China has about 650 million Internet users, according to the World Bank. 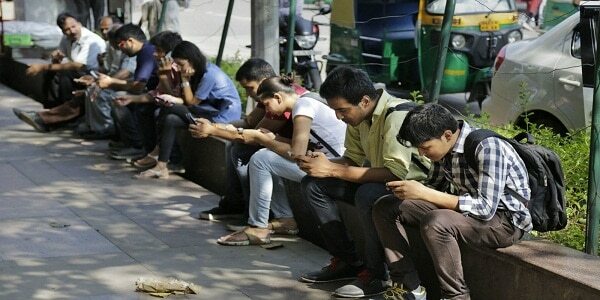 According to the report, 71 per cent male and 29 per cent female are Internet users in India. The Internet usage among males has been growing at a rate of 50 per cent while it is growing at 46 per cent for female users. Interestingly, the report also reveals that out of all the Internet non-users surveyed in the 35 cities as part of this study, 11.4 million people are willing to access the Internet in the next one year and over 2/3rd of them intend to do so through mobile phones. The IAMAI-IMRB survey was conducted across 35 cities including eight large metros and smaller cities, including Coimbatore, Jaipur, Lucknow, Ludhiana and Visakhapatnam.